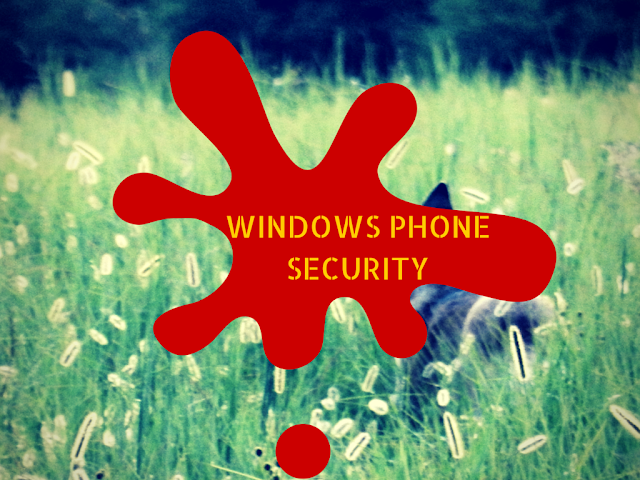 Are you aware of windows phone security issues? There are many serious security issues on windows phones. Use these windows mobile security apps to protect your phone and confidential information saved on your phone. These days, your communication devices, be it your laptop, computer or mobile are all susceptible to malware and unwanted access. It is highly recommended that you make sufficient arrangements to ensure that your device is safe and thus such threats can be minimized. Mobile phones these days, especially the Smart Phones are being used for more than normal day to day communication. They are a miniature version of your computer where you can store your files, movies, music and other important documents which are prone to intrusion. Besides, browsing the internet can invite malware which can affect your device and cause serious problems. There are many security apps available which would ensure that your Smart Phone remains secure and safe. In this article, I shall provide an insight to 10 best security apps for your SmartPhone. You may also like our roundup of android security apps and iPhone security apps. This is a free security app for modern day users. Keeper is a password manager which allows auto filling of all the internet logins. Besides, it can also be used to synchronize multiple Windows devices and for cloud data backup. 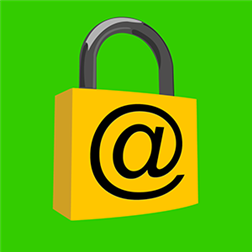 It can also be utilized to encrypt sensitive information. This incredible app is extremely effective when it comes to securing login information pertaining to your credit card and banking functions. It allows you to store your PINs, Credit Card numbers, and Login details. It can also be used for effective data backup. This is another free application which allows safe and secured browsing. This is a browser with “Parental Control” features inbuilt in it. It can block unwanted sites and those with malicious content. It allows the parents to monitor the internet activities of their children from any other Windows device. This app is ideal if you want to monitor the login attempts made by anyone else other than you in your accounts. It also records the location of your phone. If you wish to secure your Smart Phone while you are away, this is one of the best applications. This is a free yet very useful security application for your SmartPhone. With the help of this app, you can encrypt all the sensitive data stored in your Smart Phone. Besides, it also allows you to hide the files to prevent unauthorized access. 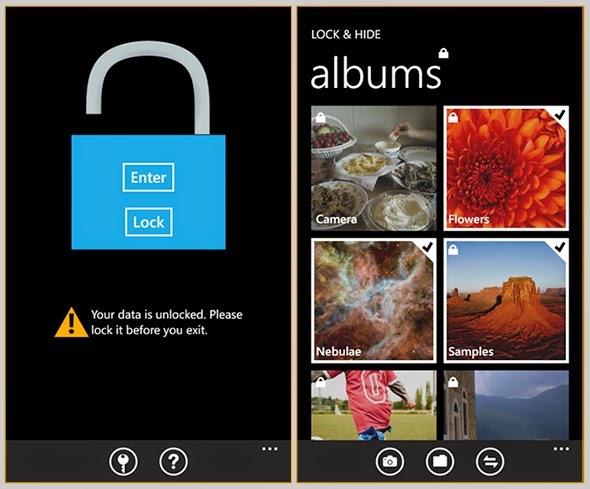 Thus, Lock & Hide is one of the best apps to secure data stored in your Smart Phone. This application can be used to configure automatic online data backup. The data can be accessed, restored or transferred to any other device whenever required. It also comes with anti-spyware and anti-virus protection which adds more to its utilities. BullGuard is another security application that comes with an online account, which allows you to access your Smart Phone remotely. You will be able to lock your phone and erase all the data using this application if you ever lose your Smart Phone. iHound comes with different types of tracking tools. This application can track the location of your device using the GPS system of your phone. This can also be used to lock your phone remotely and erase all the sensitive data stored in it. 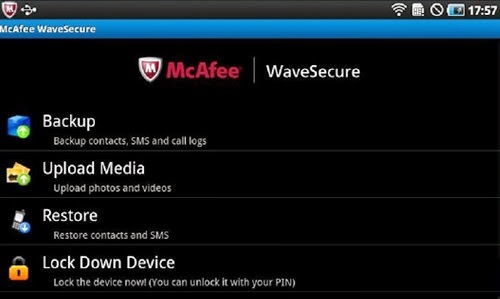 This McAfee mobile security app comes with different types of security tools. It comes with an anti-virus and anti-spyware tool and can be used to lock your phone remotely. Apart from this, you can easily backup and restore your data using this app. It also enables you to track the location of your phone. Kaspersky Mobile Security comes with an array of different types of features which includes anti-virus, anti-theft, data encryption, privacy protection, anti-spam, firewall protection and parental controls. The tracking features allow you to track your phone on Google maps. These are the 10 best Security Apps for your SmartPhone. These apps offer a comprehensive, all-round security to your Smart Phones from virus, remote tracking, theft and unauthorized access. With the help of these apps, you can make sure that all your data are safe and are not accessible to the intruders. So, employ them for your safety and get benefitted. This article is a guest post written by Morna Collins on a behalf of FamousCouponCodes.com. Morna is a professional writer with extensive experience of over 5 years and in above article she describe best security apps for Windows Phones that how to secure your important data through these apps.